Whitening – Want Brighter, Whiter Teeth? Have your pearly whites lost their luster because of dingy gray or yellow stains? 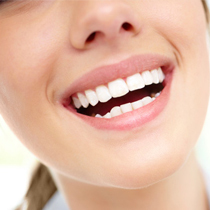 Stained teeth can occur as we age, but some common foods, drinks, and even mouthwashes can stain teeth. You may be able to get rid of superficial stains by yourself. Some common foods can discolor teeth. Here’s an easy way to tell if a food might be at fault: Coffee stains teeth, beverages such as tea, dark sodas, and fruit juices. These teeth stains develop slowly and become more noticeable as we age.